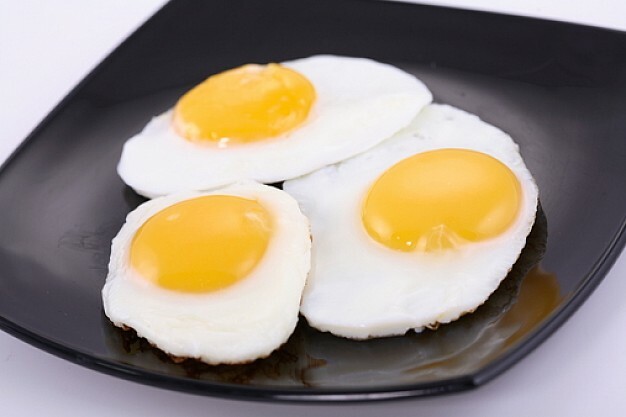 According to the book Pagano, person with psoriasis can eat 1-2 eggs per day. But this eggs must be but these eggs should be without salt, mayonnaise or spices. Pagano also prohibits eating all fried foods. Based on my experiments, patients with psoriasis better not exclude eggs from the diet. But this rule does not always work. Some patients also eggs do not cause exacerbations. And, as it turned out, a lot of patients with psoriasis used to eating omelet and do not want to abandon it under any pretext. If ordinary eggs do not cause you aggravation, you can make an omelette using Multicookings, you just add a little vegetable oil or olive oil and adding Multicookings mode steamers. Fried eggs in Multicookings does not burn, and time to prepare for no more than 3 minutes.